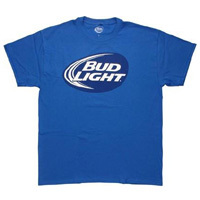 Want to get your hands on a free Bud Light t-shirt? Follow our link, verify your age and then submit your entry for a chance to receive one of these t-shirts. Click GET FREEBIE button and then submit your entry for a chance to win one of these giveaways.